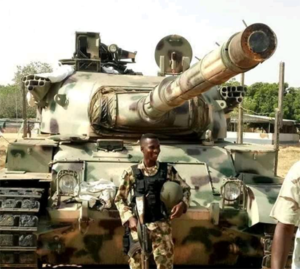 ABEOKUTA–THE Commander of 35 Artillery Brigade Command, Alamala, Abeokuta, Brig Gen. Olaniyi Olatunde, yesterday, said the Python Dance III otherwise called Egwu Eke 111 is not meant for only war. Olatunde said this during a free medical Outreach and distribution of books and other writing materials to students of the host community at Lafenwa in Abeokuta, Ogun State. Chief of Army Staff, Lt. Gen. Tukur Buratai had said that the Operation Python Dance is to reinvigorate all existing operations in the country, with additional manpower, equipment and resources to address the lingering security problems in the country. Olatunde said the event was part of the activities lined up to commemorate the nationwide exercise Python dance 111 in 81 Division Area of Responsibility. He said: “No one is permitted to disclose any information that is injurious to national security. We are doing this to maintain the citizens and change their orientation that Nigerian Army is not about war only.